Resource optimization is a critical and desirable goal with any intelligent storage system. One of the problems with traditional bulk data transfers has been the required resources needed from the server and network to manage that movement. 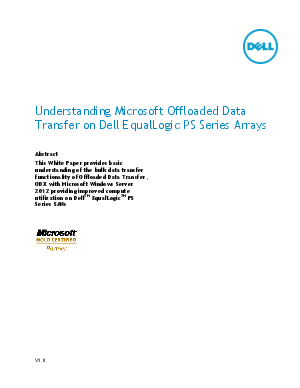 What Offloaded Data Transfer offers is a reduction in these resources by offloading the transfer to the intelligence of the Dell EqualLogicTM PS Series array.